Since young, I've been really conscious about my hair on my arms on legs. Hence, I visited Bon Aesthetics (used to be known as Bon Elements) for a total of 6 sessions of full legs and full arms SHR! Continue reading for my review! P.S It took me awhile to write this as I wanted to see if the effect would last. Unlike cool IPL, SHR gives you unlimited shots with energy emitted evenly. It is also a fast treatment that is pain-less, fuss-free and clean with no gel required. Also, it is said to require less sessions to achieve hair-less results and is suitable for all skin types. Depending on individual skin type, hair density, thickness etc, treatment will be spaced between 3 – 6 weeks and individual results may vary. What I think about the treatment? The SHR treatments were quite warm but they were pain-free for me. Also, I like how fuss-free it is, each session only took me about 30 minutes! With the SHR treatments, though I'm not 100% hair-free on my legs and arms, the hair on my legs and arms became thinner and a little less obvious. Also, I think some hair follicle really did stop growing a.k.a got "removed". The hair on my legs and arms are also growing slowly now so I don't have to shave as frequently. That's all, hope it helps those who are considering hair removal treatments or choosing between IPL and SHR. 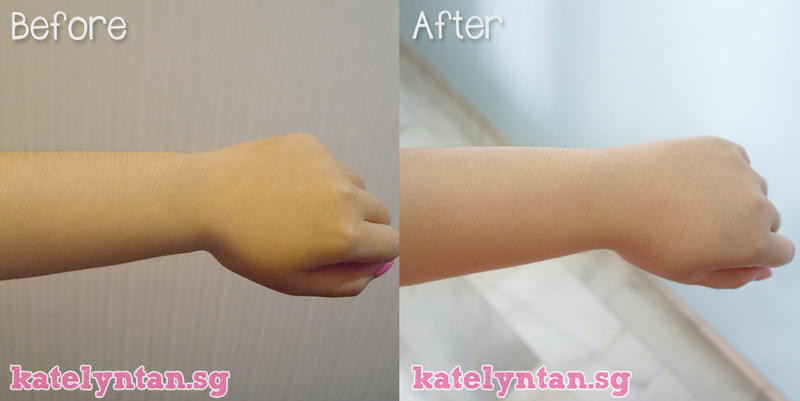 Thank you Bon Aesthetics for making me less conscious of the hair on my arms and legs!